Well, for the first time ever, you can experience just that in two different ways at the Valley Forge National Historical Park. 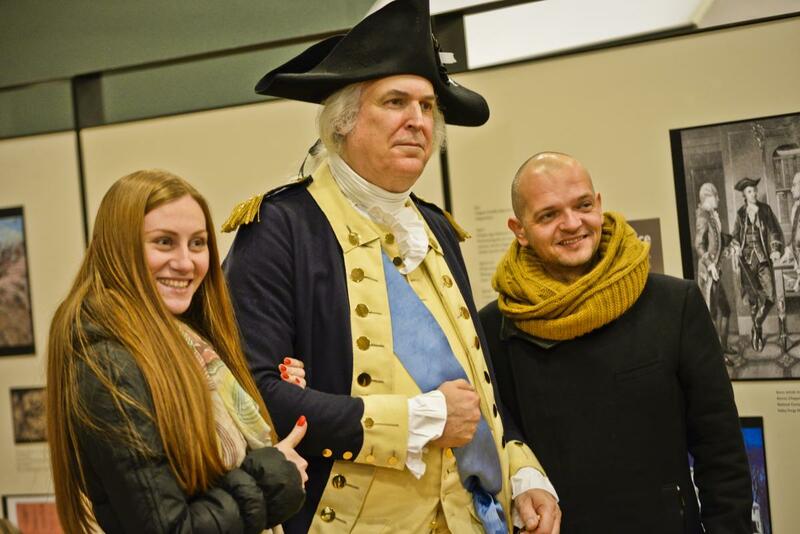 In addition to the park’s free Annual March In evening event on Dec. 19, this year, Valley Forge is also offering folks another free chance to see what a typical day looked like during the encampment, in the sunlight. 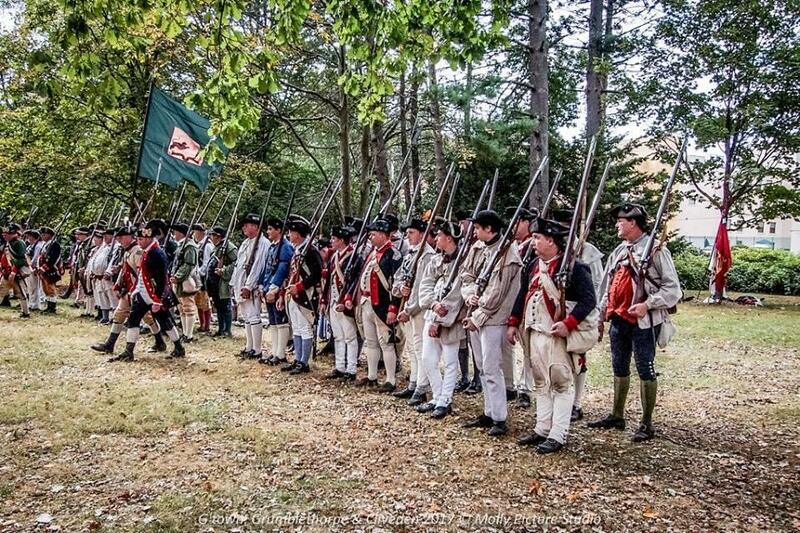 Prelude to Valley Forge: A Living History Program by Colonel Ogden’s 1st New Jersey Regiment will be held this Saturday, Dec. 16 from 10 a.m. to 3:30 p.m. Starting at the park’s National Memorial Arch, the 1st NJ will march one mile to the Muhlenberg Brigade Huts, sharing quotes describing Revolutionary War conditions. Watch dozens of men and women in period dress recreate camp activities like cooking, cleaning, sewing, company exercises, hut construction, and musket demonstrations. At the end of the day, a commemoration service will be held for the fallen of the 1st NJ. 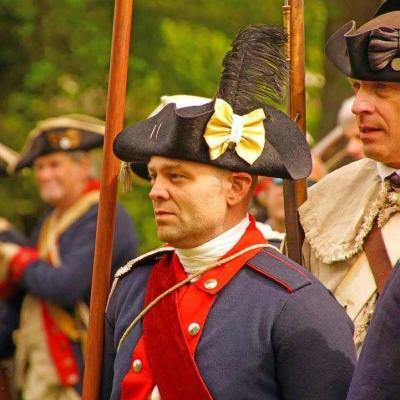 The living history event will provide visitors with an understanding of 18th century life in what was the fourth largest city for the six months the army was in Valley Forge with more than 12,000 people. Then, from 6 p.m. to 8 p.m. on Dec. 19, the Annual March In of the Continental Army will honor the date in 1777 when General George Washington’s Continental Army “marched in” to Valley Forge to set up their winter quarters. This event is weather dependent. 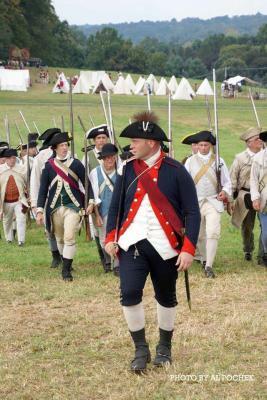 Both events work to bring visitors into the world of the Continental Army and encampment at Valley Forge, each in slightly different ways, Parker said. 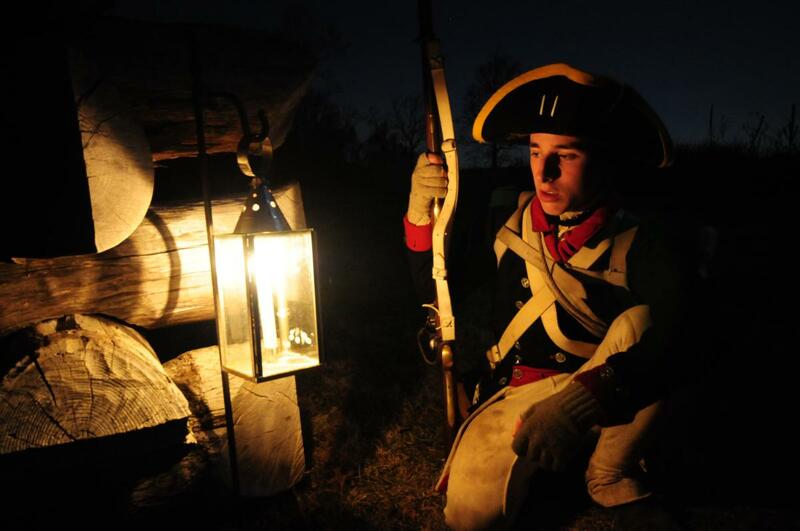 With candle-lit guided walks to the Muhlenberg Brigade Huts, visitors will encounter a living camp, and witness the soldiers’ determination to persevere against insurmountable hardships and difficult conditions. The General, portrayed by Dean Malissa, will be on-hand talking about the encampment. People can also warm up in the Visitor Center with 18th century music, refreshments, and more!